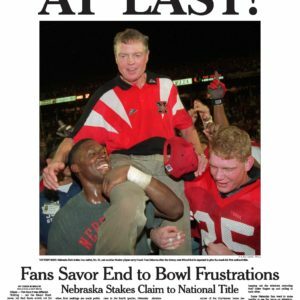 Purchase a high quality historic Omaha World-Herald front page commemorating Tom Osborne’s second national championship. 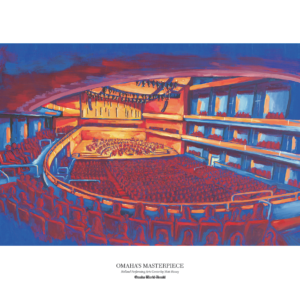 Printed on heavy premium lustre 13×19 photographic paper, this historic page is suitable for framing. 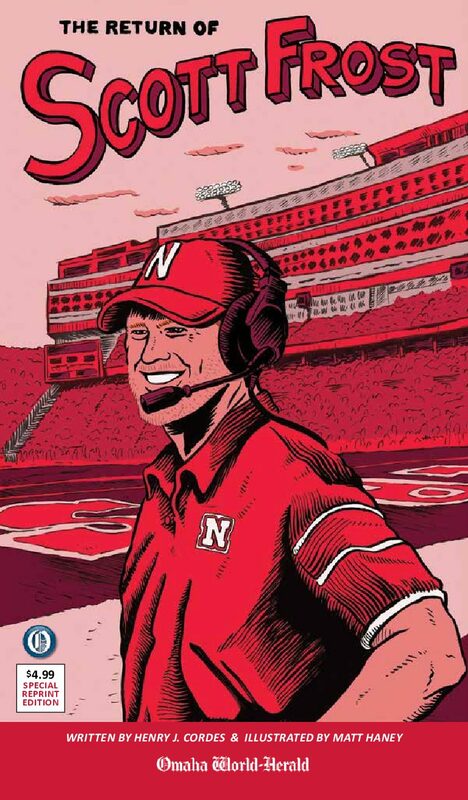 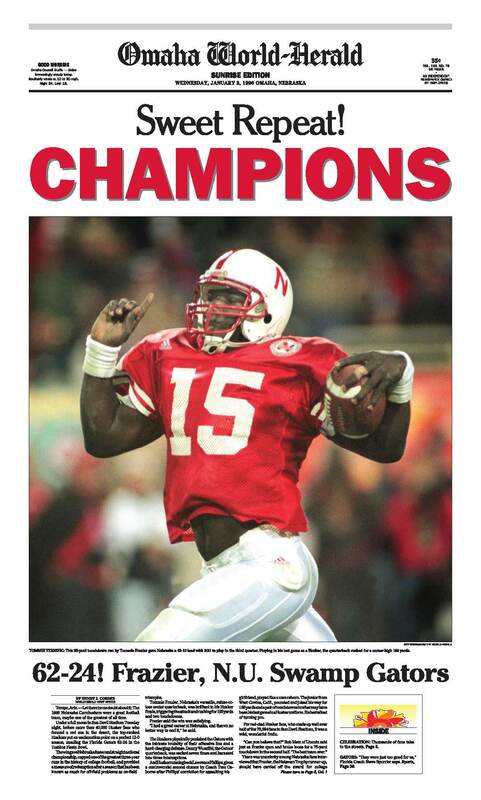 This reprint would make a fine addition to any Husker fan’s collection.